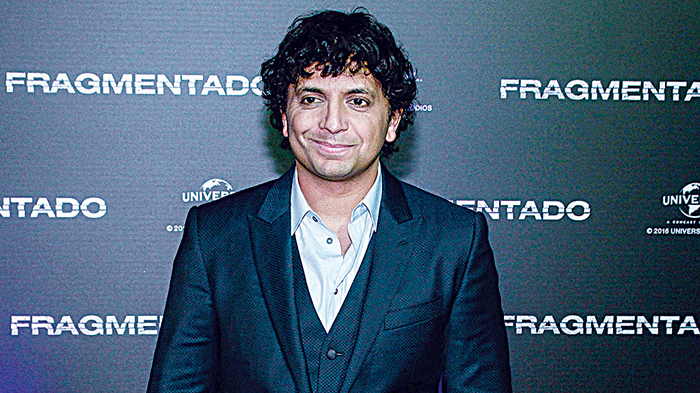 M Night Shyamalan, the director known for his film-ending twists, brought his latest offering to London on Wednesday, comic book thriller “Glass” – a tale merging two of his previous movies. Starring Bruce Willis, Samuel L. Jackson and James McAvoy, “Glass” blends storylines from Shyamalan’s “Unbreakable”, which came out in 2000 and 2016’s “Split”. “There’s a sense of reflecting a lot … that these characters … are in one movie,” Shyamalan, also known for “The Sixth Sense” and “Signs”, said at the film’s London premiere. “It was almost like I didn’t want to make it for 15 years and then started to open my mind up to ‘hey, you know, let’s go back to those characters and finish telling those stories’.” Willis and Jackson, who both starred in “Unbreakable” – about a train crash survivor who discovers he has a new superpower – were joined at the screening by McAvoy, who played Kevin Wendell Crumb, a man with multiple identities, in “Split”. In the new film, Willis reprises his role as security guard David Dunn as he chases one of Crumb’s frightful personalities. Jackson returns as the fragile Elijah Price, also known as Mr Glass. “I always thought Elijah was unfinished business,” Jackson said. “Night promised that it was part of a trilogy … so, this is closure.” McAvoy revisits his role as well as his character’s multiple personalities. “I love acting so getting to do more of it is not a bad thing,” the Scottish actor said.